Rodents, such as rats and mice, are named for their oversized front teeth, which they can use to destructively chew and gnaw on just about anything. They are capable of squeezing through very small openings, so it can be tricky to seal off their entrances to your home. Unlike a lot of other pests, rats and mice do not hibernate during the winter, but instead take shelter in the warmth of homes. They use this opportunity to nest and reproduce rapidly. They are also nocturnal, so they are rarely seen scurrying around during the day. Rats and mice have long been seen as destructive pests in the agricultural community. In addition to eating crops, they also contaminate food and surfaces with their urine and feces. Rats and mice both have the potential to carry dangerous diseases. Rats are typically larger and heavier than mice. They are known to be very smart and adapt quickly to changes in their surroundings, including traps. They may also leave grease marks on surfaces as they move past them. Mice are smaller than rats and typically have thinner, hairy tails while rats’ tails are hairless and scaly. Their ears are also larger in proportion to their body size. Different types of Mice and Rats found in and around Richmond, Virginia. 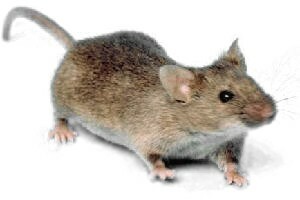 For further information about the House Mouse, click here!